A cold front moving through the ArkLaTex tonight will bring an end to rain chances, but usher in slightly cooler air. Another front at the end of the week may not bring much rain with it, but it will keep temperatures cool for the upcoming weekend. Areas of rain and a few storms will continue tonight, but should be ending by sunrise Tuesday. Temperatures tonight will fall back into the upper 40s to low 50s. We’ll start tomorrow with some clouds, but expect sunnier skies by afternoon. Temperatures will warm into the upper 50s to near 60 with a brisk northwest wind expected. A Wind Advisory is in effect until Noon for most of the ArkLaTex. Winds will be sustained at 15-20 mph and could gust as high as 35 mph. We’ll stay sunny on Wednesday. 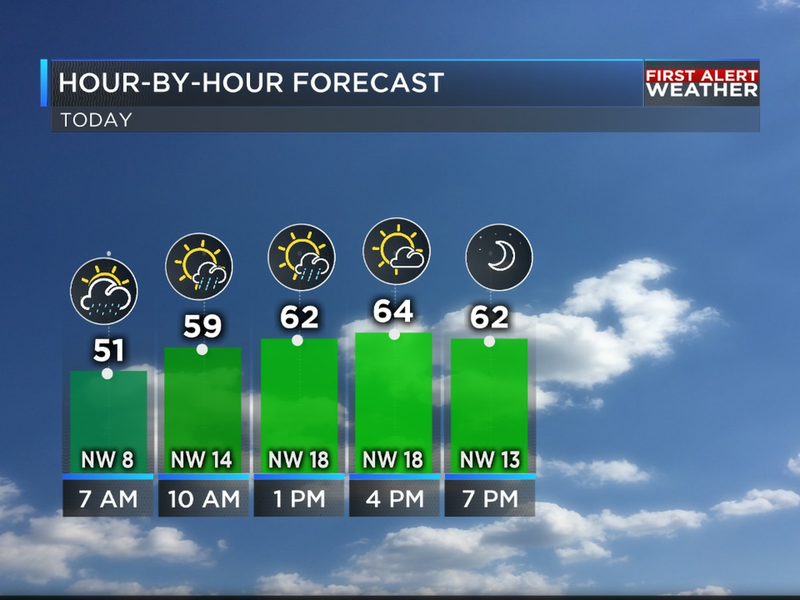 After a cold start in the 30s temperatures will bounce back nicely into the mid 60s by afternoon. Clouds are back on Valentine’s Day, but rain chances look slim. We’ll see highs close to 70. Another cold front arrives Friday, but rain looks limited with it. Temperatures will fall back into the 60s for highs and we’ll turn a little cooler over the weekend. Saturday and Sunday may not feature much sunshine, but it’s not necessarily looking wet either. We’ll see highs in the 50s and lows in the 30s and 40s for the weekend.